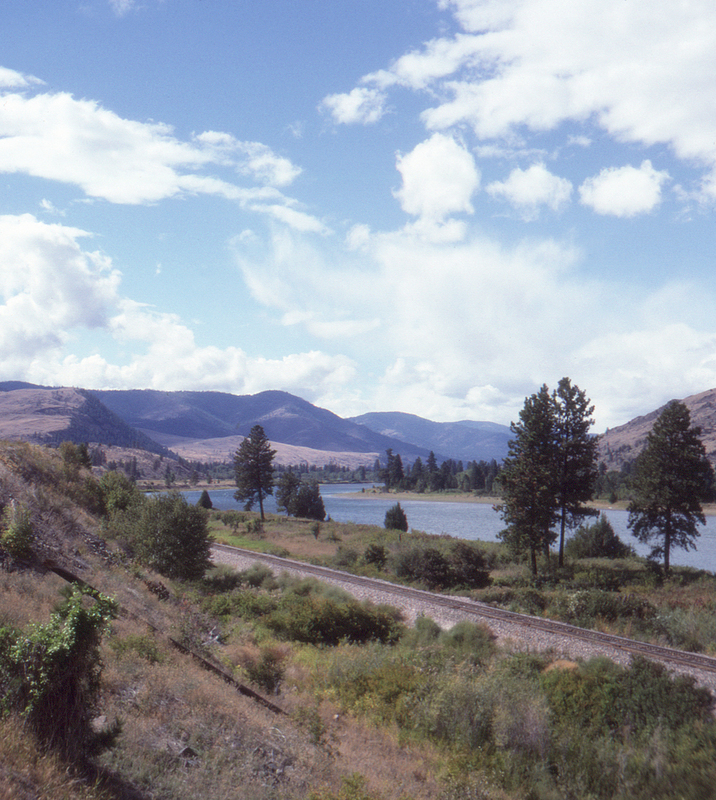 Once over Evaro Hill, the Northern Pacific's original main line descended into the valleys of the Jocko and Flathead Rivers, seen here west of Dixon, Montana from Montana Highway 200. This slide may give a faint idea of the beauty of this stretch, once one of the high points of the North Coast Limited's run. Ahead is Paradise (Montana, that is). This page posted 1/1/2018. Text and photo ©2018 Lamont Downs.